We have a new line of connectors for our cables compatible with both Volta and Expert Sleepers Silent Way plug in. To show appreciation to muffwiggler forum users for their business and support we are offering a temporary 10% off coupon. Upon checkout at website simply punch in muffwiggler and you will receive 10% off your purchase! Yes this includes Neutrik models too! 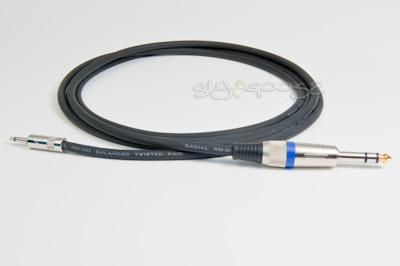 Can i really use this cable from my focusrite saffire (not DC coupled) to control my modular ? I'm not sure as I'm not familiar with that product. If it is the same setup, same pinout as Volta, then yes. I would check with the manufacturer though first. Volta is 1/4" TRS to 1/8" TS with the ring floating on the TRS. What are the Neutrik connectors? Someone enlighten me why I may/may not want those optional connectors?